Join professionals - Actor/Director Amanda Schlachter and Visual Artist Laura Sommer in this one day integrated arts experience. Through yoga and movement you will ground in the body then create personal monologues letting go of 2011 and end with the creation of inspiring images to enhance your vision for 2012. Open to all ages 16+. Limited to 30 people. Sound like a better gift for a friend? Gift certificates available. Just use the same PayPal links below. WHEN? January 28, 2011 - 10:00am - 5:00pm - CLOSED - please call 941-685-8855 or email Amanda for future date info. This workshop is also available for private parties. When registering with Amanda, needed supplies will be explained. Wear comfortable clothing appropriate for yoga and movement. Questions? Concerns? Call Amanda at 941-685-8885 or email. Amanda has been fortunate and blessed to direct with multiple companies. Directing credits include: Two seasons with Kaleidoscope (Picture This, Unwritten) a partnership with Asolo Rep and Community Haven for Adults and Children with Disabilities, The GG Monologues, Sarasota Actor’s Workshop, Assistant Director of The Source Theatre (I Want to Know), Event Coordinator with the National Tour of The Day I Opened My Eyes, The Players Theatre (A Midsummer Night’s Dream, Flapper, Wonderland, Music Man, Best Beware My Sting, Toy Camp and multiple original showcases.) Amanda has also worked with American Stage, Sarasota Community School, The Sarasota Film Festival and Girl Scouts of America. 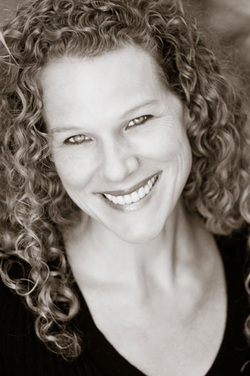 As an instructor Amanda has had the opportunity of teaching with Asolo Rep, The Players Theatre, The Orlando Shakespeare Theatre, New York Film Academy and Girl Scouts of America. Currently, Amanda is the Lead Instructor for the Orlando campus of International Performaing Arts Academy. Educational experiences include: American Academy of Dramatic Arts; graduate and company member, BFA from The University of Central Florida, The Orlando Shakespeare Theatre’s internship program and certification in Tai Chi and Beth Rigby’s Yoga Meets Dance. Laura was born, raised and educated in England, U.K. She has a B.A. (Hons) in Fine Art and a Post Graduate Certificate in Education. 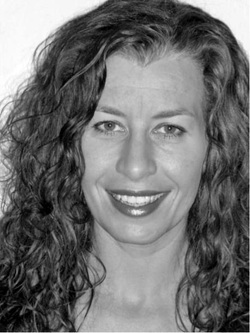 Laura has been a curator and organizer of art exhibits for local artists in Leeds, England. She has had her own art shows in cities such as Leeds, Derby, Manchester, Bolton and Brighton. She has worked in mediums such as clay, paint, glass and mixed-media collage. She taught Visual Arts in a variety of high schools in England for 11 years. She has also taught classroom based art skills to student teachers at Leeds university, England. She was the leading mentor for students training to be art teachers at her last school in England. Laura moved to the USA when she had the exciting opportunity to teach in a British International School in Washington, D.C.
Laura has recently moved to Orlando, Florida. She is currently a practicing artist who works primarily with mixed media. She exhibits and sells her work within the Orlando community.